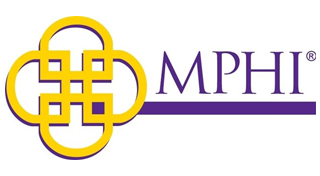 MPHI's mission is to maximize positive health conditions in populations and communities through collaboration, scientific inquiry, and applied expertise which carry the voice of communities to health policy makers, scientists, purchasers, and funders; advance the application of scientific health practices in communities, and; advance community capacity to improve health and reduce disparities among population groups and geographic areas. MPHI’s vision is to be a unique public trust which will enable communities to apply state-of-the-art community health practices. Get in touch with the Michigan Public Health Institute. Learn more about the National Network of Public Health Institute’s signature programs. Julia Heany, Robin VanDerMoere (Michigan Public Health Institute), and Sarah Gillen (NNPHI) discuss how nonprofits can foster a sustainable culture of quality that capitalizes on increasing efficiency and effectiveness within their organizations. Takeaways from Julia Heany’s and Robin VanDerMoere’s (Michigan Public Health Institute) presentation on applying performance management and qualtiy improvement methods with public health system partners. Shannon Laing and Julia Heany (Michigan Public Health Institute) brainstorm innovative tools for performance improvement that could be useful to tribal public health organizations and partner agencies. A checklist of Public Health Accreditation Board requirements for Agency Strategic Plans from the Michigan Public Health Institute. Explore Michigan Public Health Institute’s partnership with Keweenaw Bay Indian Community Department of Health and Human Services to strengthen tribal health department capacity to deliver evidence-based public health approaches. This document explains the process that the Michigan Department of Community Health uses to designate the Michigan Public Health Institute as an agent of the state. See this master agreement between the Michigan Department of Community Health and the Michigan Public Health Institute, which formalizes the work responsibilites and adminstrative processes between the Department of Community Health and MPHI. National Public Health Week: What Do You Call a Public HealthTwitter Chat?